We're about 40 days into the P90X program. I missed 4 days of workouts earlier this week due to travel. To make up for slacking off I bumped up my bicep/shoulder workout by 2lbs. It seemed like a good idea at the time but today I was paying for it. 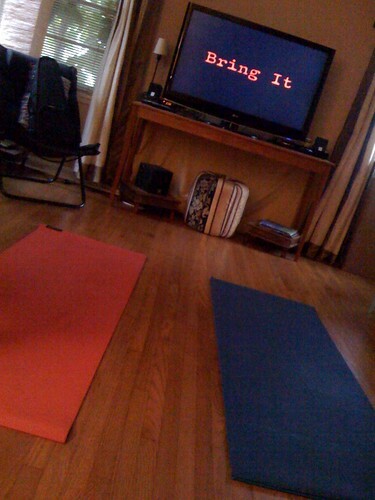 I totally struggled through yoga this AM. My upper extremities were completely fatigued. Ugh! No fun.